Civil War Soldier. Inventor. Acclaimed photographer. Make the leap and visit the museum and studio of H.H. Bennett, the man who made the Dells famous!  Visit this Wisconsin Historical Society site to learn about the Wisconsin Dells area, H.H. Bennett and his family, and historic photography. An excellent selection of high quality souvenirs of the area and gifts for photographers and photographic enthusiasts. 60 minute guided tour of the museum and historic photography studio. Note: Tour duration can be modified to fit your group’s needs. Step back in time and experience the historic photography studio like never before! Have your portrait “struck” using the same wet plate photography method used by H.H. Bennett, in the same studio, over 100 years ago.